Hooked on Anime also made a Pony Cid. 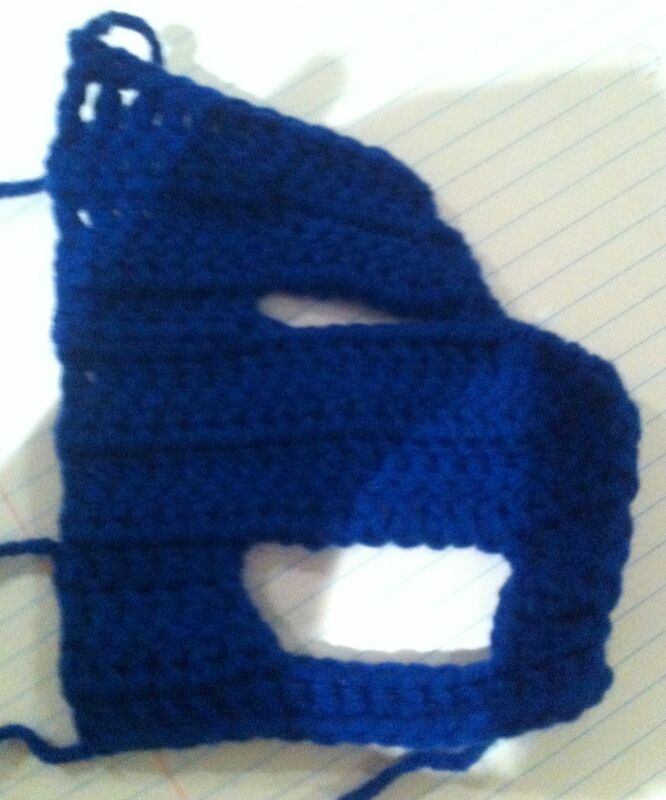 My pattern ended up being created from scratch, as I got really frustrated trying to follow her directions. I think the end results are around the same, but I’ve honestly got no idea how she got from point A to point B.
I’m going to refer back to the jacket pattern here for the pictures for the other pony clothes. I found the jacket was really easy to modify for different characters. 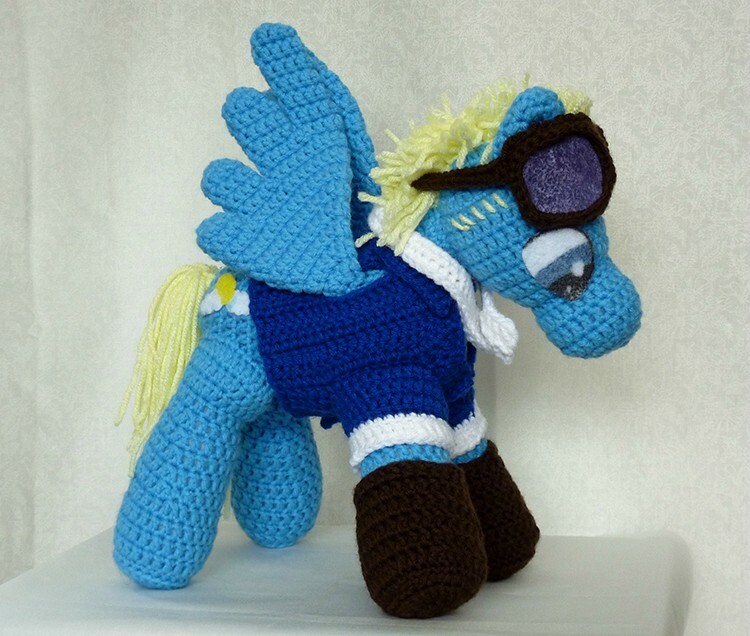 Using light blue, make one basic pony with a male nose and two wings. The main jacket is made in two parts so that it’s more symmetrical. It’s certainly possible to do it all in one piece if you choose, just attempt to mirror the way the armhole is shaped. Personally, I think it’s easiest to just stitch it up the back. 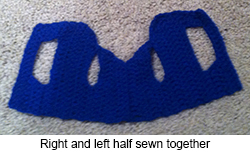 Rows 2-4 create the armholes for the jacket, and rows 9-10 create the wing holes. With blue, ch 19 (2 to turn). 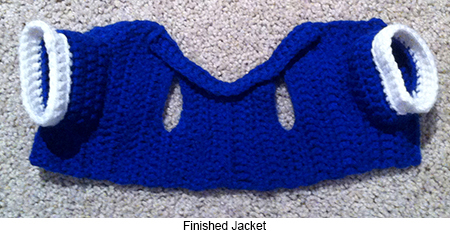 The collar is also crocheted directly onto the main jacket. 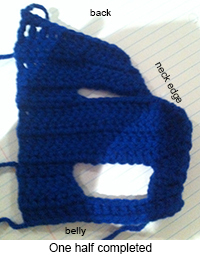 With the right side of the main jacket facing you and blue, insert your hook in the rightmost peak of the neck edge (approximately row 7 where the dc 3 tog was). Pick up and sc approximately 24 sts evenly to the opposite peak. 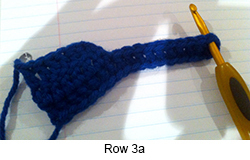 (How many sts you pick up depends on how tightly you crochet. It doesn’t really matter as long as it’s evenly distributed and you’ll get a smooth collar without any bunching or rippling.) Turn. With brown, ch 9 (2 to turn). Finish, leaving a slightly longer tail for attaching the strap. 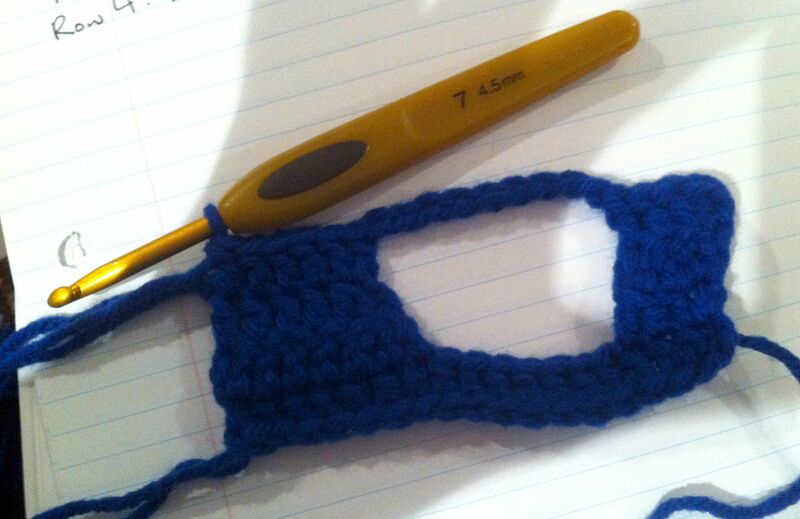 The rims of the goggles are made by crab stitching around the base where the lenses will go, then single crocheting. 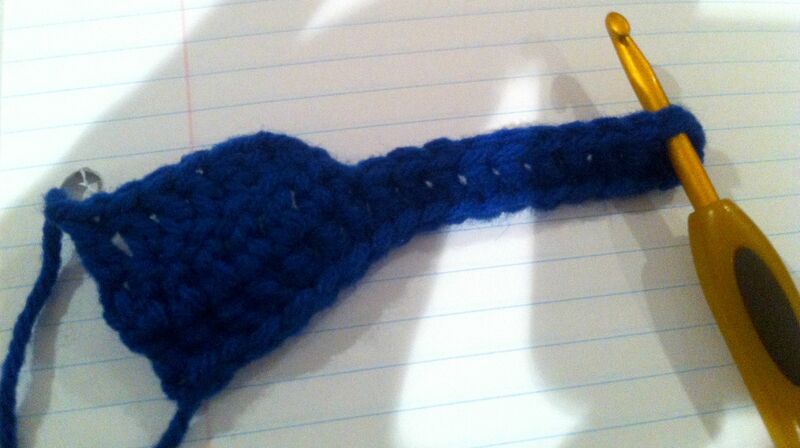 Start by attaching your yarn fairly close to the edge of the base. Crab stitch around the edge in a lens sort of shape. When you get back to where you started, I cheated and just wrapped my yarn around the edge to bring the yarn to the top of the work, but you can reattach if you’d like. 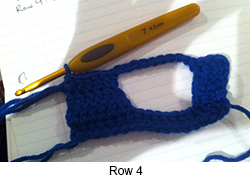 Single crochet in each crab stitch to create a bit more depth. 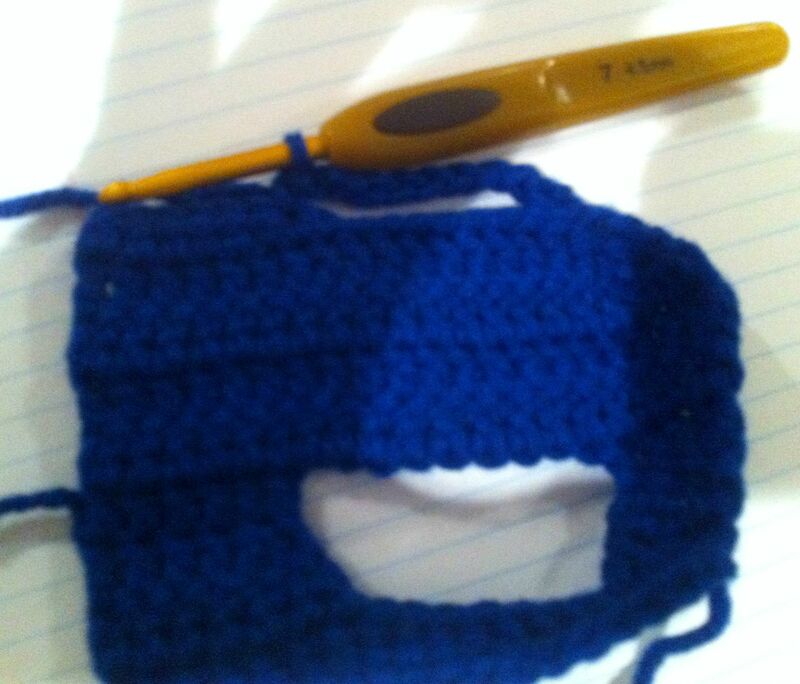 Crocheting into crab stitch is a pain, but if you leave the crab stitches fairly loose, it’s not too bad. 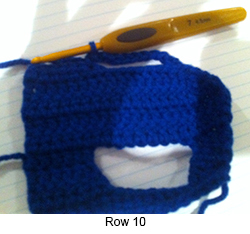 Slip stitch into the first stitch for a smooth finish. Do the same for the second lens. With brown, ch 27 (2 to turn). 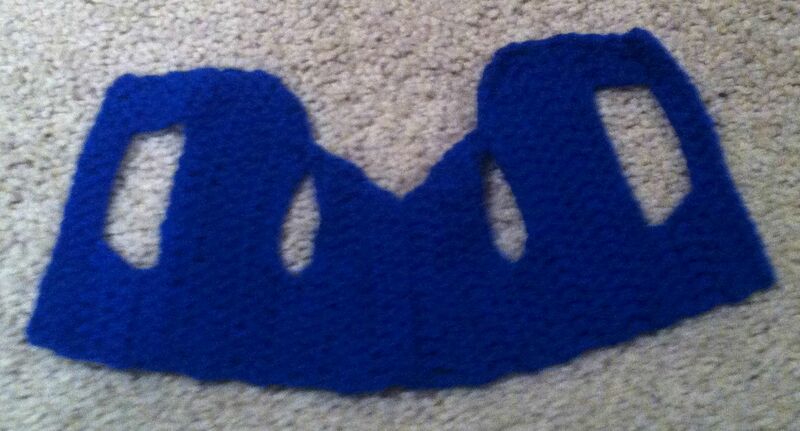 Attach the strap using the tail end of the yarn from it and the other side with the tail from the goggles base. 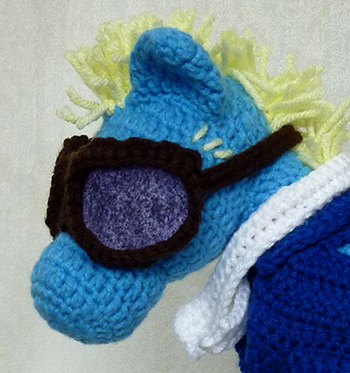 I attached it a couple stitches down from the top of the goggles. I cut out paper templates to fit each lens (they ended up slightly different shapes), then traced it onto felt. A smart person would use black felt or something similar, but I only had while and painted it. Cut out the felt and glue it in place inside the rims of the goggles. I made Cid’s mane and tail with the yellow Red Heart yarn. It’s pretty basic with minimal styling. Create his sideburns by embroidering some lines down the side of his face.